A hunter who was subjected to years of online abuse, reportedly phoned friends before taking her own life. Melania Capitan, who rose to prominence for posting images of her kills on social media, was found dead in her farm in Huesca in the northeast of Spain. The 27-year-old had almost 10,000 followers on Instagram and her blog explaining and detailing her hunting methods also was followed by thousands of people. However, her posts attracted much controversy and she had been subjected to threats online. After her death, a note reportedly addressed to her friends was also found. It has nor been made public. It is believed Ms Capitan may have phoned some friends to say goodbye before she took her own life. “We did not expect this, it’s like a horror movie,” a friend told Spanish newspaper El Mundo. “I knew her for years. She was an extraordinary person. It is inexplicable what happened." 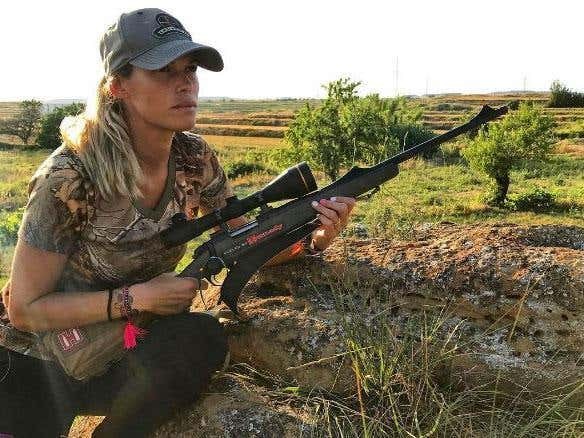 Ms Capitan's controversial stance on hunting as well as the frequent images of her expeditions posted online, made her a target for anti-hunting campaigners. In 2016 she claimed that she received some 3,000 "offensive comments" on social media. Many people rejoiced about her death, and posted comments on her Facebook page. One wrote: "Karma." Another wrote: "You have done a favour to humanity. Bye Bye!" Despite all of the threats she received, including one which was reportedly left on her car, her friends have insisted that her death was because of "personal problems, not for the insults received." Her friend said: "It is a lie that she committed suicide because of the threats, because she was a very brave woman, very strong, a fighter." The Royal Spanish Federation of Hunting has filed a criminalcomplaint in response to her death.